You can download the book Puppets Goals. The Millennium Development Goals Seen from the South. This is a book of stories told by boys and girls in Africa, dealing with different areas of their day to day. The idea is to entertain and educate a part of Spanish schoolchildren using other than their own experiences to introduce them to issues and realities hardly imaginable without the experience counted directly. With this book is to complement the activity cycle performed in each of the primary schools involved in the project. The text includes simple instructions for creating puppets and illustrations accompanying the models to facilitate their creation in order that boys and girls to make them both at school and at home under adult supervision. The stories and features made ? 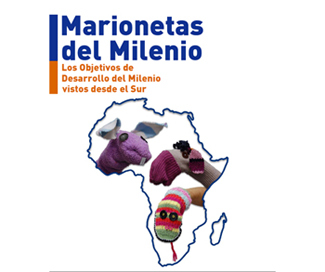 ?with puppets allow children in Spain know the world they live in other boys and girls in Africa through seven of the Millennium Development Goals.